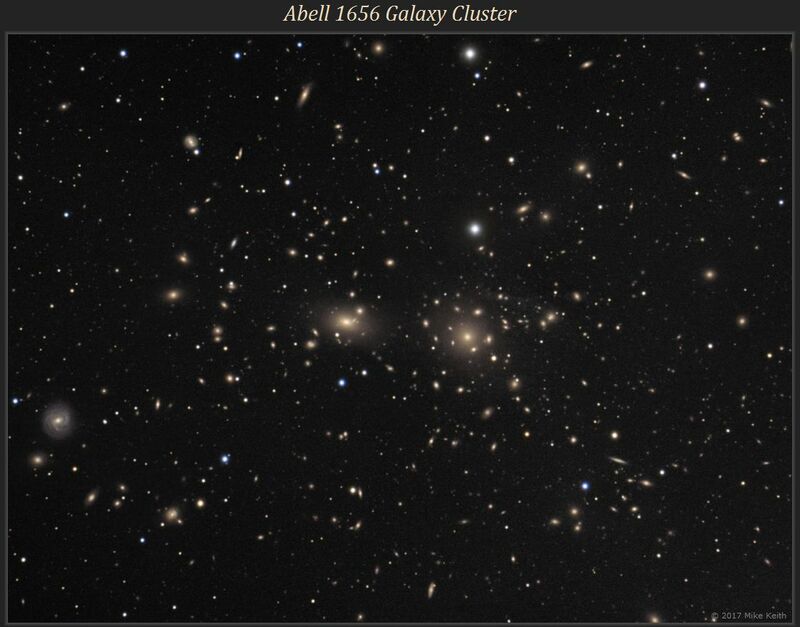 Abell 1656, located in the constellation Coma Berenices, is one of the richest galaxy clusters in the entire sky. 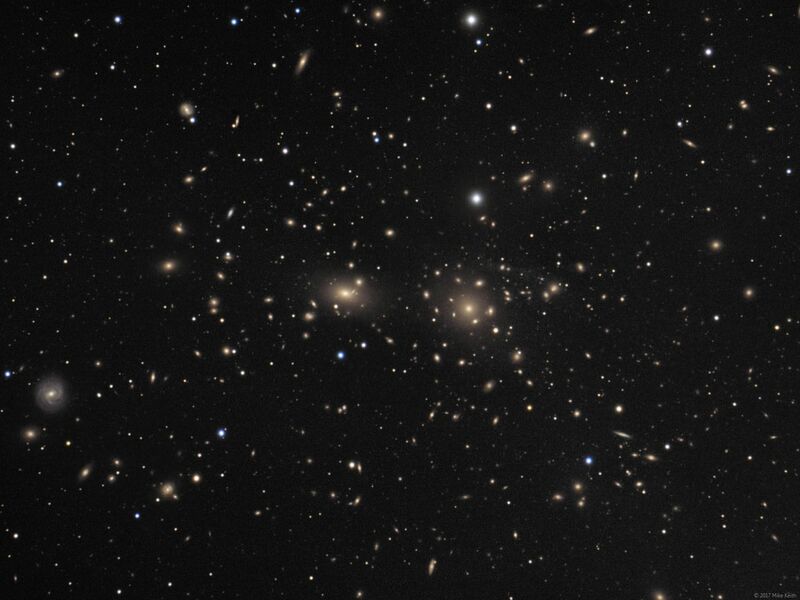 Shown here is a 0.8 x 0.6-degree field of view from the center of the cluster. Using Aladin and SIMBAD it is possible to identify about 800 galaxies in the higher-resolution image (see link above). The two large elliptical galaxies near the center are NGC 4889 (left) and NGC 4874 (right), while the spiral galaxy at the lower left is NGC 4921. This is an LRGB image with 1.5 hours of L and 30 minutes each of R,G,B.